It says they were poaching and had no documents. 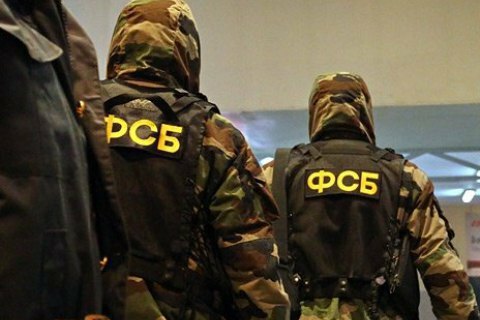 The Russian Federal Security Service (FSB) has confirmed the detention of two fishermen without documents in the Sea of Azov, who are likely to be Ukrainian citizens, the Interfax news agency learnt from the FSB directorate in Krasnodar Territory on 12 May. It said that on 10 May, Russian border guards spotted a small boat with two people onboard in the Sea of Azov. The border guards insist that the two men were poaching, including on such protected fish as sturgeon. According to the FSB, the boat and the two men were taken to Yeysk, Russia. According to earlier reports, on 11 May, Ukrainian rescuers launched a search for two local fishermen who went out to the Sea of Azov on the Amur cutter from the Iskra recreation camp at 5.30 a.m. and did not return home. Search efforts were held near Berdyansk in Ukraine's Zaporizhzhya Region. On 12 May, the Ukrainian Foreign Ministry said Russia had refused to provide any information about the possible detention of the Ukrainian fishermen. A Ukrainian consul went to Yeysk.